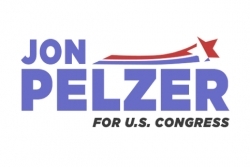 Sherman Oaks, CA, July 24, 2017 –(PR.com)– Jon Pelzer partnered with LA Family Housing to officially announce his candidacy to represent California's 30th district in the U.S. Congress. "Our democracy and what it represents is at a critical impasse," Pelzer said in his speech. "We don’t have the luxury or time for complacent representatives who are more interested in their careers than serving the people. We need someone who has the principles and conviction to stand up, fight, and lead – no matter the cost. We need someone who will use our legitimate moral outrage to advance our progressive agenda. We need better." The announcement doubled as a household item drive that supported LA Family Housing, a local organization committed to housing the homeless. The items collected will be used in "Welcome Home Baskets" presented to family and individuals moving into new permanent and temporary housing. "We have known Jon and his family for 22 years," Jody Dunitz, who hosted the rally, said. "Our kids have grown up together. We adore Jon and know that he is the right choice to represent our congressional district. He is acting out of pure passion and conviction with no designs to dawdle for 20 years in hopes of becoming a senator or lobbyist. He's the real deal." Pelzer stated, "Today I announce my candidacy for Congress in the 30th Congressional District. This is not the start of a political career. It is the end of business as usual. It is the acceptance of the abnormal as normal which poses the greatest threat to our democracy." "This is a grassroots campaign," Pelzer said. "I’m proud to be funded by donations from individuals who believe in this campaign and a truly progressive congress. From the beginning, I have pledged to refuse PAC and corporate money. That makes your support today all the more important." Pelzer closed his speech with thanks and, "We have the opportunity to turn this pale shade of blue into one so vibrant that it’s visible across the country in Washington, DC. Now more than ever is time for the passionate and engaged people of the 30th Congressional District to be represented by someone who reflects them and their values." The rally was held in Sherman Oaks. Pelzer for Congress collected hundreds of items for LA Family Housing. For more information on the campaign visit www.pelzerforcongress.com and www.facebook.com/pelzerforcongress.